Minnesota Democratic U.S. Sen. Al Franken plans to resign his Senate seat on Jan. 2, opening the door for Lt. Gov. Tina Smith to take over the position Jan. 3, Franken's office said Wednesday. 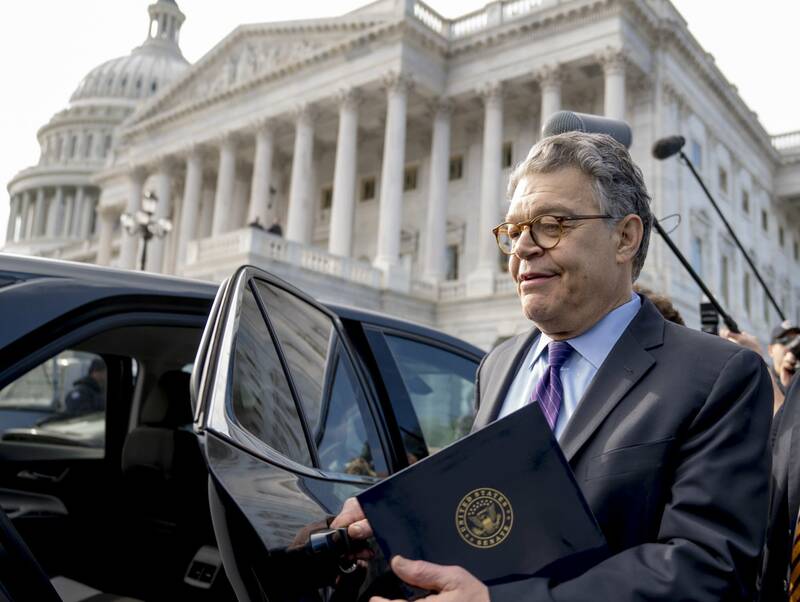 Franken announced earlier this month he would exit the Senate in the coming weeks in the face of mounting accusations of sexual misconduct before and during his time in office. He'd spent weeks this fall pleading for forgiveness in response to the accusations over his past actions. At least eight women had shared stories of him touching them without consent during photo-opportunities, on a celebrity tour to military installations abroad or at political events. The common pattern they described included allegations that Franken groped their buttocks or breasts or tried to kiss them. He'd hoped to make his case to the Senate Ethics Committee that his behavior shouldn't require him to give up the seat. As allegations continued to trickle out, though, his fellow Democratic senators pulled their support from Franken and urged him to resign. Standing on the Senate floor on Dec. 7, he said he could no longer be an effective senator for Minnesota. But he insisted that some of the allegations against him were "simply not true ... others, I remember very differently ... I know in my heart that nothing I've done as a senator, nothing, has brought dishonor on this institution," he told assembled senators. "I know who I really am." Gov. Mark Dayton confirmed last week that he'd chosen Smith to replace Franken. Smith, Dayton's former chief of staff, said she will run for the seat as well in next year's election. Franken said Wednesday he'll give a series of farewell speeches before turning over his Minnesota seat. He also talked about public school education and his concerns about efforts to use taxpayer money for private school tuition. "When I leave the Senate in a few weeks, I will continue to try to be an educated citizen and an advocate and an activist," he said. "But over the last eight and a half years as I've had the privilege of serving the people of Minnesota I've also gained a new perspective on the issues we face and the way we in Washington make decisions."